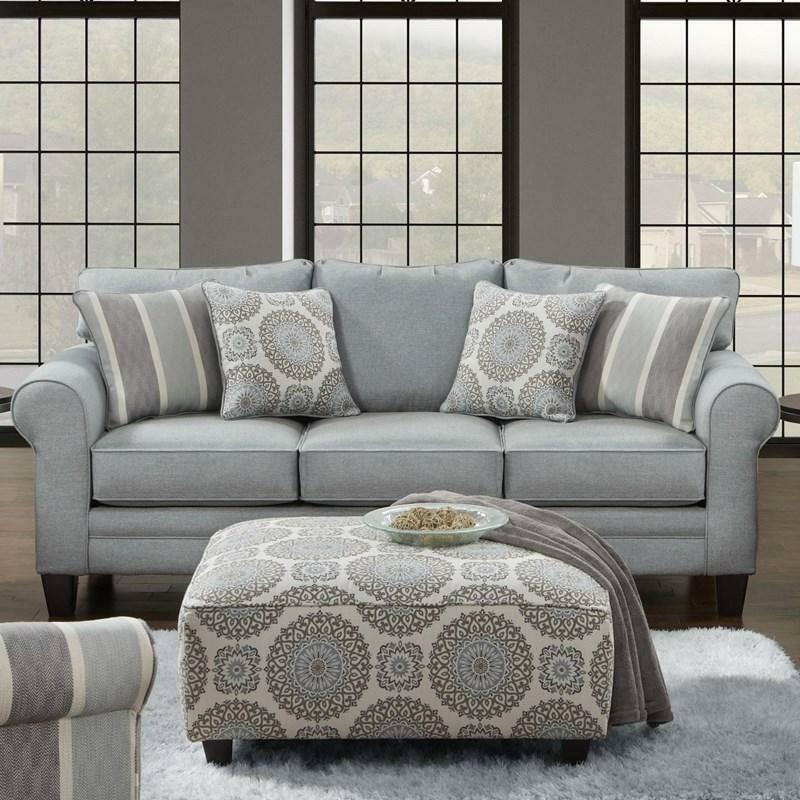 This beautiful Sofa by Fusion Furniture will add elegance and warm look at your living room with its contemporary style will match any decor. 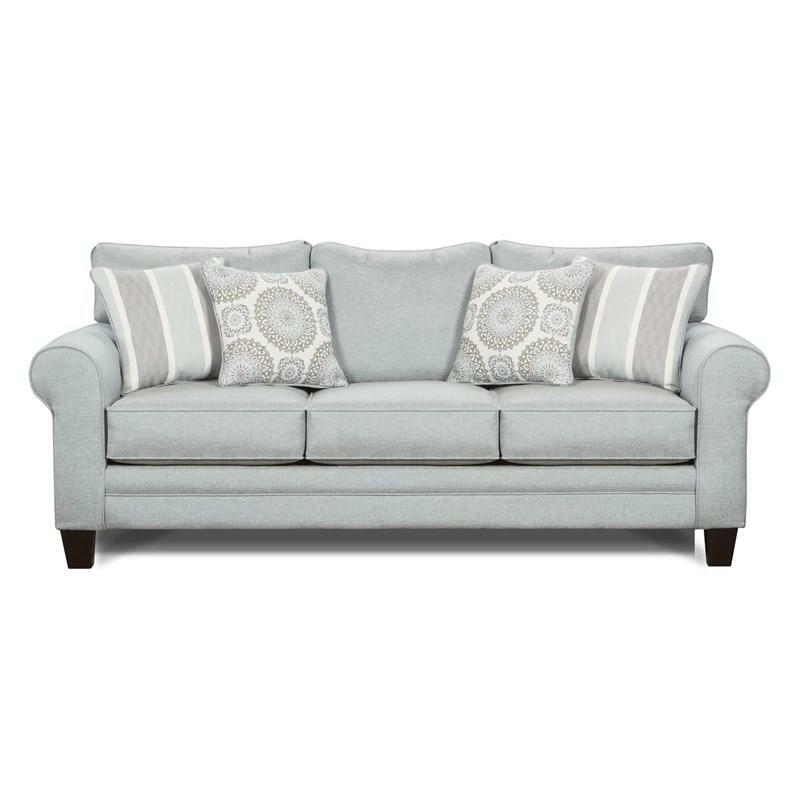 It features loose back, sock arms, four toss pillows, and block tapered feet in an espresso finish. 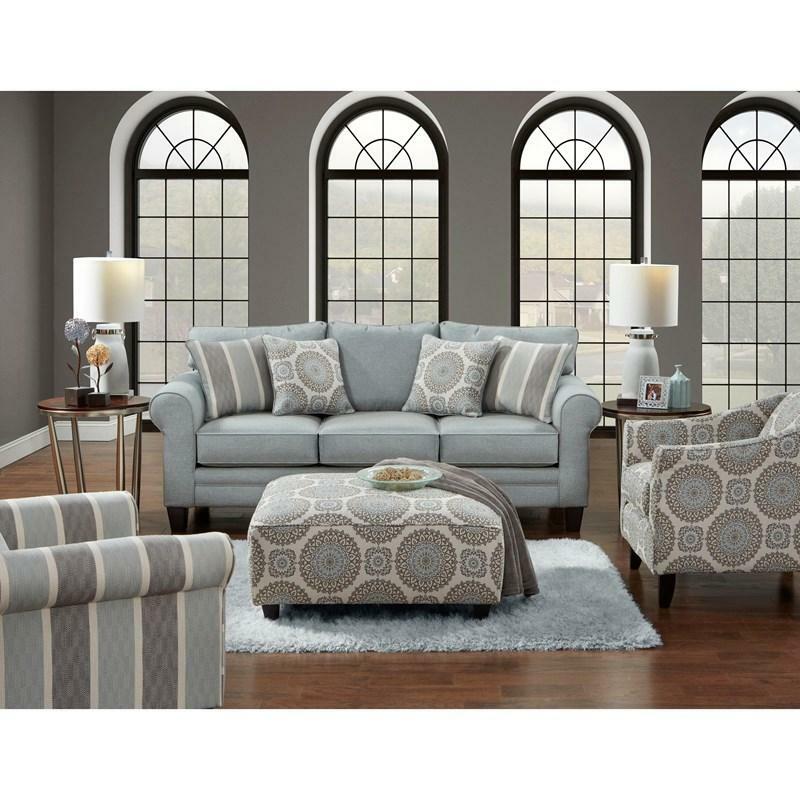 • 2 toss pillows in Brianne Twilight: 20"
• 2 toss pillows in Lifes a Beach Mist: 20"
Volume 48.38 cu. ft. / 1.37 cu. m.